Choosing a washer: front load or top load? Manufacturers continue to refine the washing machine, mostly adding new features, increasing energy efficiency and reducing water consumption. But a consumer shopping for a new washer will, early on, be confronted with a major choice – front load or top load? The top-loading washer has been around since the end of the washtub era. Its appearance hasn't changed much over the years, either. It's a no-nonsense machine, with a tub that sits upright in the compartment and an agitator that swirls the water around and through the items being washed. It starts off with suds, drains the soapy water and rinses with clean water. Its final spin cycle gets rid of much of the excess water from the items before they are placed in a dryer. Over the years the new features on a top loader have been few and far between. There are usually settings for water temperature and the size of the load, but that's about it. Recent improvements have centered on energy use. Spin cycle speeds have increased, for example, removing more water from clothes than before, resulting in less time in the dryer. The front loader has been a staple of laundromats for decades. In fact, its commercial appearance might be one reason for its initial popularity with consumers, fitting in with the trend of commercial stoves, refrigerators and other appliances in consumer kitchens. But beyond a front loader's trendiness it also delivers a high degree of energy efficiency. Almost every model of front loader washer on the market bears the U.S. government's Energy Star label, meaning it meets or exceeds the Department of Energy and Environmental Protection Agency's tough standards. A top load washer also needs more water than a front loader. The top loader requires enough water to completely submerge the clothes in the drum. The front loader uses about a third as much water. It doesn't require a fast-moving agitator. Its drum moves in a circle, pulling clothes through the water. The top loader fills and empties the drum for each cleaning cycle, using more water and electricity. The front loader rinses by spraying clean water on the clothes as they turn through the drum. And without an agitator, there's more room in the drum for clothes, meaning you can wash bigger loads. Front loaders take up less space than the top loader and can also be stacked with a front-loading dryer. If floor space is at a premium, a front-loading combo may be the answer. What about price? Generally, you'll save more on the purchase of a top- loading unit than you will save in energy costs using a front loader. For example, a Roper 3.4 cubic foot top loading washer sells at Lowes for $299. A Samsung 3.6 cubic foot 3 Series front loader sells for $599. However, front loaders are not always more expensive than top loaders. 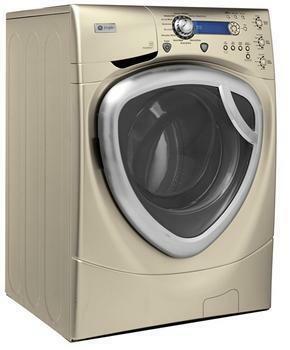 There are a number of high end top loaders, including the Whirlpool Cabrio 4.8 cubic foot top load washer, selling for $799. It has a number of bells and whistles the basic Roper model does not, including steam and a built-in heater for sanitizing. There seem to be a lot of complaints about front-loading washers. One of the most common is that they don't always do the job. Some of the newer machines that have new, advanced features do require strict adherence to the user's manual. 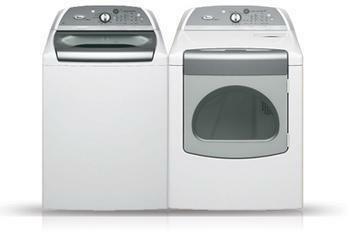 Last year Consumer Reports reviewed washing machines and found “huge differences” in the machines they tested. 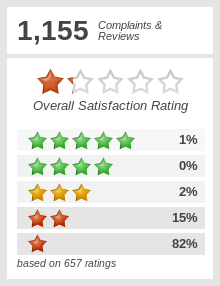 That means consumers shopping for a washer – top or front loader – should carefully consider reviews like David's before selecting not just the style, but the brand and model as well. Front-loader or top-loader -- which is better?